A compilation designed for anyone with an addiction to Metal, created by those addicted to Metal. Imagine you're the head of a multi-layered Heavy Metal record label that's been at the front of the scene as purveyors of the best of Metal, new and old, for twenty years. With two decades of existence, and over ninety signings across your history, from as many genres as Heavy Metal, Hard Rock, Power Metal, Symphonic Metal, Industrial Metal and Thrash Metal among others, how do you go about curating a compilation that is as retrospective of your career so far? For German stalwarts AFM Records, they've opted for the three-disc, fifty-two track collection which traverses the many genres they've represented, the many careers they've launched – and re-launched for that matter – and the many moments they've shared. Kicking off first disc with UDO's 2004 James Bond tribute 'Thunderball' and following it up with Rock Opera giants Avantasia's stand-out classic 'Reach Out For The Light', it is as clear as the sky is blue that the first of the three journeys through AFM history is a "best of the best", the biggest songs from the biggest bands they've had throughout their first two decades. The curation of the track-listing is commendable, particularly as the mixture of genres, across all three of the discs, flows so incredibly well, making a Power/Symphonic heavy start transition smoothly, delicately and wonderfully into a Thrash-induced Industrial end. Disc two is the middle of the road, a European collection of heavyweights and ones to watch, whether that be Edguy's 'Babylon' or Onslaught's 'Born For War', a balls-to-the-wall breakdown of just how far they push the boundaries with their genre-crossing roster picks. The third disc is essentially a mix-tape of the previous two, taking some of their best signings and songs and throwing them in with artists you may not have even heard of, giving you a handy overview to a well beloved label. Seeing Herman Frank, Destruction, Fear Factory and Thunderstone all the same disc is a welcome change from compilations of late, which all too often play it a little too safe, stray away from mixing it up or even layering it like AFM have. The only issue this compilation has is its automatic ability to cause a rift as ginormous as a black hole to open up between you and your friends, arguing over what song should've been picked for what band and who should've been included or who shouldn't have. This reviewer spent too much time wondering whether 'Dying For An Angel' or 'Avantasia' would've been the better picks for Avantasia, whilst the depths of the album would cause argument with any European Metal fan. 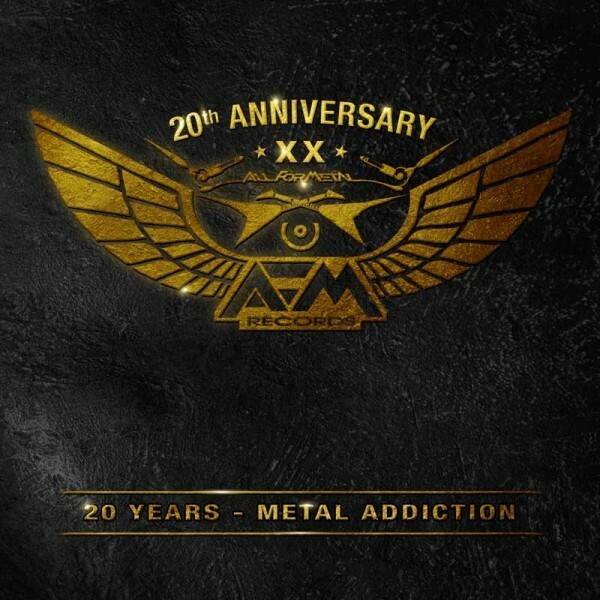 For a label whose name is an acronym for "All For Metal", '20 Years – Metal Addiction' is a compilation designed for anyone with an addiction to Metal, created by those addicted to Metal. If you were to judge the first twenty years of AFM on these fifty-two tracks alone, they'd be top of the class.